Try a taste of elegance with this Friday’s cocktail, the White Lily. This cocktail is included in the 1964 edition of Old Mr. Boston De Luxe Official Bartender’s Guide. However, it is of an older vintage than that, appearing in the famed Savoy Cocktail Book originally released in the early 1930s. There is some quibble about the last ingredient, the dash of absinthe. Mr. Boston calls for anisette, but when that aforementioned edition was published, there was a ban on absinthe in the United States in effect. 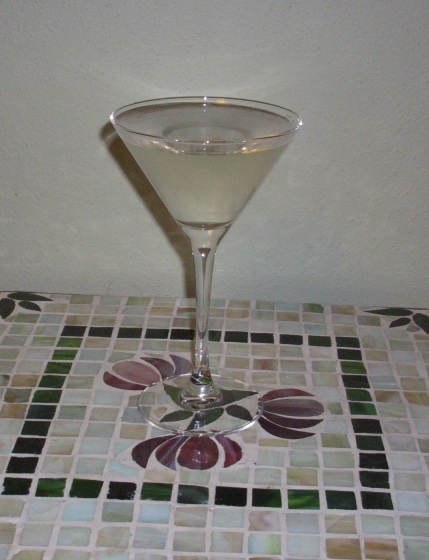 Other recipes alternatively used Pernod, an often used substitute for absinthe. With absinthe once again available in the U.S., consider using it as it is most likely the original ingredient. The 1964 recipe calls for 3/4 of an ounce for each of the main ingredients and 1/4 of a teaspoon of the last one. I’ve upped the portions in keeping with modern conventions. What you’ll need: Gin, Rum (white), Cointreau (or Triple Sec), and Absinthe. Pour equal portions (an ounce each) of gin, white rum, and Cointreau (or Triple Sec) in a shaker over cracked ice. Add a 1/2 teaspoon of absinthe. Shake and then strain into a cocktail glass. Optionally, some recipes propose using an orange peel twist as a garnish. How I like it: Personally, I’m not a huge rum fan and find white rum rather bland, though it does let the absinthe shine. In a pinch, you could use a gold, dark or spice rum, but then your drink won’t be a white lily. I particularly like Kraken, a black spiced rum, which blends perfectly with that hint of anise flavor. I suppose using Kraken makes it a Black Lily instead. Consider serving it both ways. Great mystery night tonight! Thanks for getting me the “cocktail” book – I’ll return it in a little while. You’re welcome, and I’m glad you enjoyed the murder mystery party!